You hear it all the time – authors must be entrepreneurs to be successful. Does it scare you? I'm Tonya Price and the author of the Business Books For Writers. The idea of starting a business to help me become a full-time author scared me and I had launched two successful Internet companies before. I learned there is no secret to building your writing business. You need to understand the publishing industry and you have to develop your business knowledge. And you have to work hard. Business Books For Writers helps you gain that knowledge. On the Resources page you will find information from us as well as other authors to help you learn how to build your writing career. Get daily business tips for writers on twitter (@BusBooks4Writer) and on the Business Books for Writer's Facebook page. Consider signing up for your free subscription to the monthly Writing Entrepreneur newsletter where you will find market analysis, links to the month's latest blog posts, indie publishing statistics and a list of upcoming writing and indie publishing conferences and of course, the latest news from Business Books for Writers. As the author of the Business Books for Writers, I spend time researching business topics of interest to writers. This newsletter contains information I find during the month that I believe you will find useful. I do the research and you get the benefit. The Writing Entrepreneur is free! I started Business Books for Writers to give back to other writers and not charging for The Writing Entrepreneur is my way of keeping that promise. 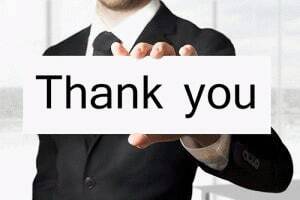 Thank you so much to everyone who supported Business Books For Writers during our first two years in business. The first book in the series, The Writer's Business Plan, and Meeting the Writer's Deadline are available as e-books, print and audio books. During this upcoming year more business books will be launched, starting with Completing the Writer's To-Do List. If you end each week feeling like you didn't complete everything you had planned to do, this book will definitely help you get things done so you can build your writing business. Are you new to the writing business and still trying to figure out how you are going to make your publisher's deadlines? Or worse: your own deadlines? Are you an experienced writer looking for ways to tweak your current process? Then look no further than Tonya Price's new book Meeting The Writer's Deadline. It is practical and contains advice you can apply to your work right now. I highly recommend it! USA Today Best Selling Fantasy Author. 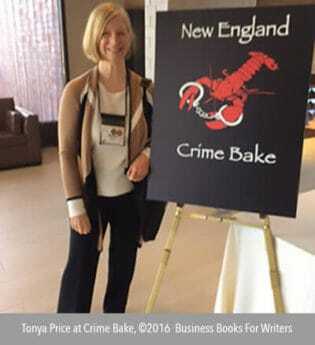 Business Books For Writers was founded in 2016 by fellow author Tonya D. Price who writes short stories, novels and Business Books For Writers. Have a writing business question? Contact Tonya and get free advice. The Resources sub-menu has been updated to make it easier to locate the resources you are looking for. See our latest blog post. 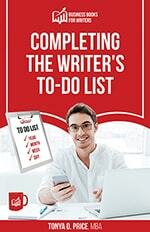 Completing The Writer's To-Do List is now available at your favorite online retailer! Learn more about author Tonya Price, Business Books for Writers and Magnolia Lane Press in this interview on Boston Voyager Magazine. Despite the best efforts of the author, copy editor and proofreaders, occasionally an error creeps into a published manuscript. All corrections , including broken links, are posted on the Resources page for each book. Business Books for Writers Because Writing is Serious Business.